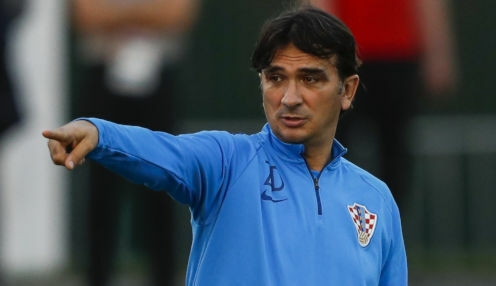 Croatia head coach Zlatko Dalic is keen to see how his team get on in their first competitive fixture since they reached the World Cup 2018 final. Dalic guided his side all the way to their first major final in Russia, with the Vatreni eventually being beaten 4-2 by France in the showpiece finale. It will be a tough match, so I think a draw would be good for us. Now, having drawn 1-1 with Portugal in a friendly international in Faro on Thursday evening, they are preparing to begin their UEFA Nations League campaign against Spain in Elche on Tuesday. And Dalic is expecting a major test for his players, with La Furia Roja having won 2-1 against England at Wembley on Saturday evening. He told UEFA.com: "This is not a must-win match for us, but a good result would keep our mood positive and it's much nicer when you win. "That's why we want to win every match, but we are playing against a Spain team which didn't meet their expectations at the World Cup and are highly motivated now. "It will be a tough match, so I think a draw would be good for us. Croatia are the World Cup runners-up and all teams will be motivated against us and we have to be aware of that." Croatia last played Spain in the summer of 2016, when a group game at the European Championship finals ended 2-1 to the Red and Whites in Bordeaux, with Ivan Perisic netting the winner three minutes from time. A 2-1 win for the visitors on Tuesday evening is priced at 18/1, while a 1-1 draw is available at 6/1. Inter Milan winger Perisic, who has scored in each of his last three international games, is 10/3 to find the net at any time against Spain.